My wrists have been killing me lately so I haven’t been keeping up with my blogging — perhaps I should deviate from my list of pending topics for a while, cut myself some slack and only share photos in the meantime? More photos, less writing? And who knows what I’ll do with my blog while I’m recovering from surgery! 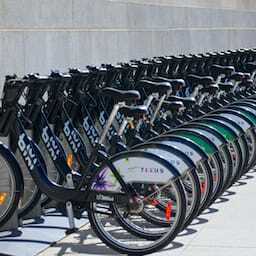 Anyways, if you want to learn more about Bixi bikes, you can visit their website at toronto.bixi.com. I just found out it’s only $97 a year! Bixi Bikes in Toronto was published on Thursday, October 17, 2013 at 7:31pm EDT by Daniel Menjívar and last updated on April 11, 2018 at 9:30pm UTC .